Nicole Richie certainly has been a busy designer this season! Singer22.Com have added another new drop of Fall Winter Kate pieces to their website. 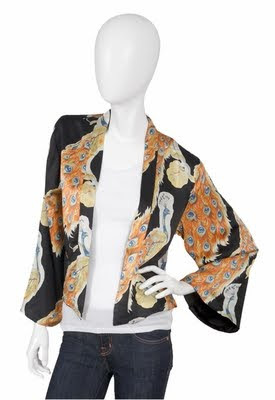 Winter Kate 'Jade' peacock print jacket. Winter Kate 'Jezebelle' draped button down shirt. 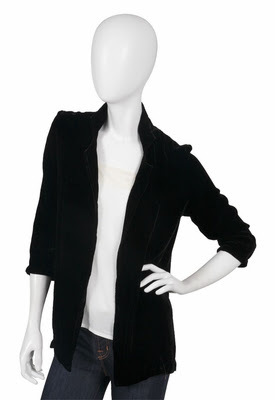 Winter Kate silk velvet 'Ebony' Jacket. Winter Kate velvet burnout 'Jade' Jacket. 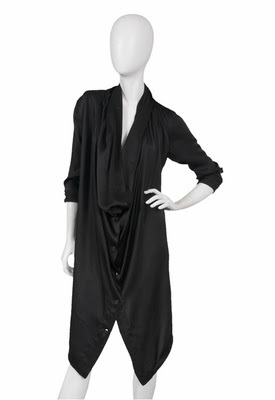 I am loving the Jezebelle draped button down shirt, but it would be way to long on a petite person like myself, so i'm interested to see how Nicole Richie wears it.